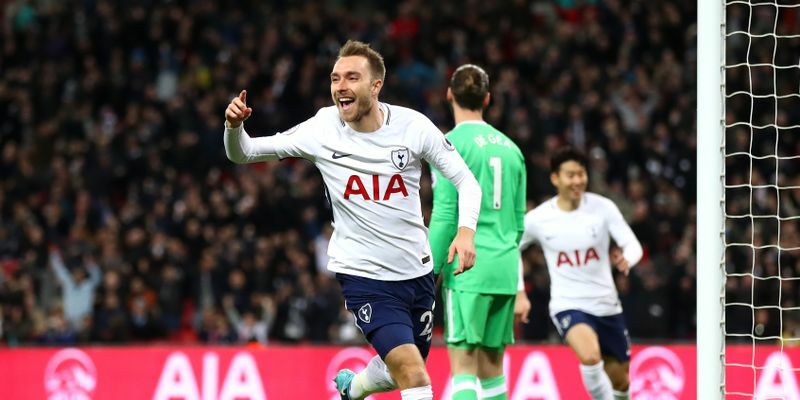 Tottenham Hotspur handed Manchester United a 2-0 defeat thanks to goals from Christian Eriksen, who scored just after 11 seconds, and a Phil Jones own goal. In another clash, Manchester City handed a 3-0 loss to West Bromwich Albion at the Etihad Stadium and extended their lead to 15 points. Manchester United failed to extend their unbeaten run in 2018 as they were handed a humiliating 2-0 loss away to Spurs. It was an attacking start for the home team as Eriksen took only 11 seconds to open team’s goal account. After poor defending cost the visitors, the situation went from bad to worse when an own goal from Phil Jones doubled Tottenham’s scores which helped the host enter into the second-half with a 2-0 lead. Spurs managed 53% possession in the game and were quite easily the better side on the day. The defeat ended United’s eight-game unbeaten run in the Premier League and are now 15 points behind league leaders Manchester City. In the next game, United will host Huddersfield on Saturday and Spurs will play against Liverpool a day later. Fernandinho opened the goal tally of the game in the 19th minute when he scored his third goal of the season after getting at the end of a Kevin de Bruyne’s perfect pass. The team entered in the second-half with a 1-0 lead. Kevin de Bruyne then put his team in complete control as he scored the second of the night and 100th goal of the season in all competitions. Sergio Aguero also joined the party when he scored in the 89th minute of the game off an assist from Raheem Sterling. The win helped the home side take a clear 15 point lead from the second spot holder United. Despite having 66% possession in the game, Chelsea, who is now in the fourth place, faced a loss in a one-sided game against Bournemouth at Stamford Bridge. Both teams failed to attack their respective opponent’s goal post which resulted in goal-less first half. Finally, Callum Wilson scored the first goal of the game followed by Junior Stanislas who scored the second in the 64th minute with the help of a Wilson assist. Just after three minutes, Nathan Ake increases the goal margin by scoring the third. The win helped the Cherries to grab the tenth spot in the points table.